Atlanta, Georgia. Premiering today, the 2019 Porsche Cayenne E-Hybrid solidifies its place in the lineup while making significant advancements over both the standard Cayenne and the preceding Cayenne S E-Hybrid it replaces. Those advantages include more power, quicker acceleration, a faster top speed, and increased electric-only range. The Porsche Cayenne E-Hybrid uses the same three-liter mono-turbo V6 as the Cayenne, but significantly increases total horsepower and torque by integrating an electric motor. The latest Porsche “E-performance” model adopts the same hybrid boost strategy as the 918 Spyder super sports car. By leveraging the instantaneous torque of the electric motor and the power of a turbocharged V6 gasoline engine, the Cayenne E-Hybrid has an especially broad power band that improves its acceleration capability. In addition to enhanced performance, the new 2019 Cayenne E-Hybrid also adds the Sport Chrono Package, Porsche Active Suspension Management (PASM), and Auxiliary Cabin Conditioning to its list of standard equipment. In conjunction with the launch of the 2019 Cayenne E-Hybrid, Porsche will also introduce several new features to the broader Cayenne model line. They include massaging seats, a heated windshield, a head-up display, and for the first time in any Porsche, 22-inch wheels. Aesthetic changes specific to the Cayenne E-Hybrid are aligned with other current Porsche plug-in hybrid models. The visual distinctions are Acid Green brake calipers and matching outlines around all of the badges. The latest Porsche plug-in hybrid includes the third new hybrid powertrain from Porsche since 2017. It combines a three-liter mono-turbo V6 engine with 335 horsepower and 332 lb-ft of torque with an electric motor that creates 134 horsepower and 295 lb-ft of torque. The result is a total system output of 455 horsepower from 5,250 to 6,400 RPM and 516 lb-ft of torque from 1,000 to 3,750 RPM. Acceleration from zero to 60 MPH happens in 4.7 seconds (-0.7 seconds vs. Cayenne S E-Hybrid) on to a ¼ mile time of 13.3 seconds (-0.9 seconds vs. Cayenne S E-Hybrid) and a top track speed of 157 MPH (+6 MPH vs. Cayenne S E-Hybrid). Porsche completely re-engineered the hybrid powertrain componentry at work in the Cayenne E-Hybrid as compared to the Cayenne S E-Hybrid of the previous generation. The hybrid module, which is positioned between the engine and eight-speed Tiptronic S transmission, consists of an electric motor and a separating clutch. In contrast to the previous electro-hydraulic system with a spindle actuator, the separating clutch is operated electromechanically for quicker reaction times. The new Tiptronic S transmission, which was developed for the third-generation Cayenne range, offers significantly faster, smoother, and more comfortable shifts. This also leads to a reduced interruption of tractive force while changing gears. As with other Cayenne models, the top track speed is reached in sixth gear, leaving the remaining two gears intentionally long for efficient cruising. With standard Porsche Traction Management (PTM), the Cayenne E-Hybrid has an active hang-on all-wheel drive system with an electronically regulated, map-controlled multiplate clutch. With its broad range of torque distribution, the system offers clear benefits in terms of driving dynamics, agility, traction control and off-road capabilities. Porsche Active Suspension Management (PASM) is included as standard equipment, though customers may upgrade to the same three-chamber air suspension system that is offered in the rest of the Cayenne lineup. As with other Porsche E-performance models, the Cayenne E-Hybrid shares a boost strategy with the 918 Spyder. By offering a wide range of drive modes, the powertrain is able to meet a wide range of specific needs ranging from all-electric motoring to high performance driving. The Sport Chrono Package, including a mode switch integrated into the steering wheel, forms part of the standard equipment on the Cayenne E-Hybrid. The mode switch and the Porsche Communication Management system are used to select the various driving modes. 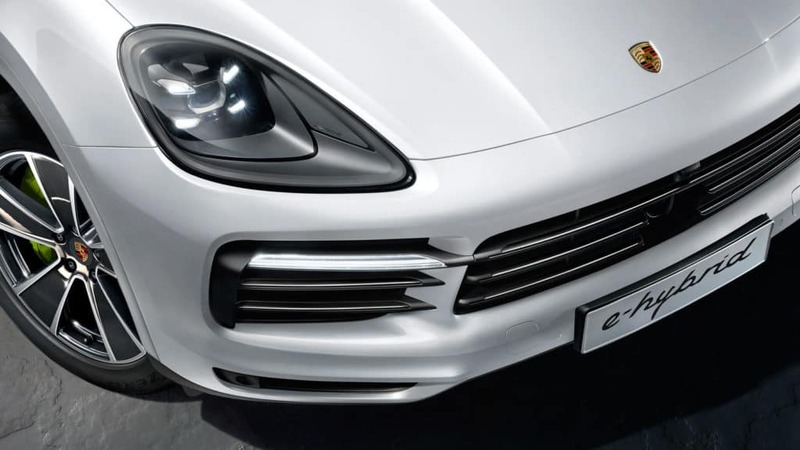 These include the familiar “Sport” and “Sport Plus” modes from the other Cayenne models equipped with the Sport Chrono Package, while the Cayenne E-Hybrid also adds four hybrid-specific modes: “E-Power”, “Hybrid Auto”, “E-Hold” and “E-Charge”. E-Power: In “E-Power” mode, the Cayenne E-Hybrid drives up to 44 kilometers, based on the New European Driving Cycle (NEDC), on electricity alone. Hybrid Auto: The “Hybrid Auto” mode is a completely new development. When this mode is selected, the Cayenne changes and combines the drive sources automatically for ultimate efficiency. E-Hold: The “E-Hold” mode allows drivers to conserve the current state of charge so they can later switch to electric (and therefore zero-emissions) mode in an environmental zone at their destination, for example. E-Charge: In “E-Charge” mode, the gasoline engine generates more power than is needed to move the car. The excess energy is channeled into the battery for later use. Sport and Sport Plus: The highest level of drive performance is made available in the “Sport” and “Sport Plus” modes. The V6 is active continuously in these modes. In “Sport” mode, the battery charge is always maintained at a minimum level to ensure that sufficient boost reserve capacity is available when needed. “Sport Plus” mode is all about maximum performance. In addition, the battery is charged as quickly as possible to ensure maximum performance. Power is stored in a 14.1 kWh battery pack housed in the rear of the chassis beneath the load floor. While running on electricity alone, the Cayenne E-Hybrid can travel up to 83 miles per hour and up to 44 kilometers (NEDC). EPA fuel economy figures and electric range are unannounced at this time. Battery capacity of the Cayenne E-Hybrid increases by roughly 30 percent to 14.1 kWh when compared to the preceding model. The liquid-cooled battery consists of eight modules with 13 prismatic lithium ion cells each. The packaging size of this battery pack is the same as the battery used in the previous Cayenne S E-Hybrid, but it has improved energy density. Using a 230-volt, 32 amp connection and the optional 7.2 kW onboard charger, it is possible to recharge a fully depleted battery in 2.3 hours. Using a 230-volt connection with 10 amps and the standard 3.6 kW on-board charger, replenishing a fully depleted battery requires 7.8 hours. In both cases, the recharging process is quicker with the new Cayenne E-Hybrid than in prior models. 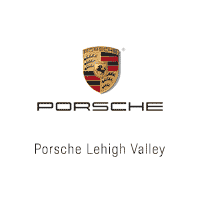 The charging process is controllable either via Porsche Communication Management (PCM) or remotely when using the Porsche Connect app. With an enabled smartphone, owners gain remote access to climate controls, and charge monitoring. All of these features are included as standard equipment and function even when the ignition switch is turned off. Porsche Connect can also be used to find and filter charging stations and set them as a navigation destination. Mirroring the subtle aesthetic hybrid indicators on the exterior, the cabin features Acid Green needles on the Sport Chrono dial and the tachometer as well as hybrid-specific displays in the gauge cluster and within the PCM screen. The displays offer information about the state of charge, electricity consumption and hybrid-specific drive mode selections. Porsche is offering a head-up display for the first time. The full-color projection is customizable, height-adjustable, and it puts key information including driving speed, engine speed, driving mode, and navigation information and the current drive mode within the driver’s direct line of sight. Models equipped with the Sport Chrono package – such as the Cayenne E-Hybrid – can see information relevant to the added performance capability including lap times and cornering g forces. Models equipped with the Off Road package are able to display similarly relevant information including hillside gradients, steer angle, a compass, and hill descent control speeds. Starting with the 2019 Cayenne E-Hybrid, Porsche InnoDrive will also be available. As a step beyond adaptive cruise control, this system combines already existent traffic sensing systems with onboard map data. The result is a vehicle that can “look” 1.8 miles ahead to select gearing intelligently, and that can compute when best to coast and the best balance between the gasoline and electric portions of the powertrain based on upcoming corners and changes in grade. The system is also capable of recognizing speed limits and adjusting vehicle velocity in cases where temporary speed restrictions are in place. The new Cayenne E-Hybrid is expected to begin arriving at U.S. dealers in early 2019 with a base MSRP of $79,900 excluding options and the $1,050 delivery, processing and handling fee.